Africa's richest man and President of Dangote Group, Aliko Dangote, has in London, United Kingdom, called for conscious efforts at deepening African regional market by African investors and governments to aid rapid growth and development of the continent's economy. Speaking during 'One to One Conversation' at the on-going 5th annual Financial Times African Summit, the Nigerian entrepreneur said the key to Africa's economic growth and strength is in the development of the regional market, saying "Regional markets in Africa must work." 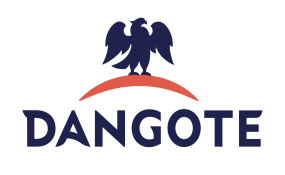 Dangote said Africans must patronise African markets, adding that the free trade agreements by African countries is the direction to go to strengthen African markets. "We need to trade with ourselves", Dangote stated as he spoke glowingly about the prospect of African economy, the free trade agreement and the availability of huge raw materials to attract investors. Prompted by the Editor of the Newspaper, Lionel Barber, to speak about difficult markets like Tanzania and Ethiopia, Dangote dismissed the issue of difficulty and re-affirmed "our aim is to always provide jobs and worth. As an African investor I don't want any investor anywhere in Africa to have a bad experience." He said: "We need to continue to transform the structure of African economies". He alluded to his company's entry into the Ghana Sugar market, pointing that he is further expanding his sugar business to Ghana for the main reason of helping to revitalise its economy. "We are going to help Ghana grow its own sugar for the first time."